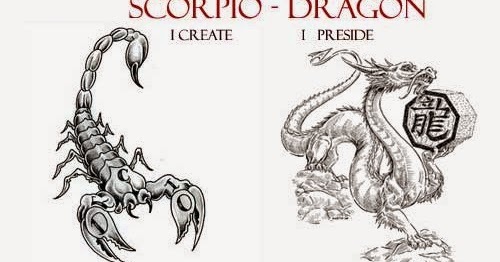 The Scorpio Dragon Personality Traits : Western and Chinese Zodiac Combination: When you add Dragon to Scorpio and mix well to blend, the batter thickens. Scorpio lends mystery and ruthlessness to an already plucky and boastful Dragon nature. Add a dash of swagger and some good old Scorpio vengeance and jealousy and you will concoct yourself a mighty baroque human being. This dish is spicy and copious.